Got to thinking about winter (and some of the things we can’t do in the south), and pulled together several great Etsy Friday finds! 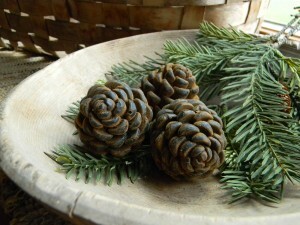 First check out these great blackened beeswax pine cone bowl fillers, scented with cinnamon and rubbed with spices. The aroma must be fantastic every time you walk by these! And they are very reasonably priced at $7.50 for a set of three. Check out all the beautiful beeswax candles at this Etsy seller’s shop at Farm Field Primitives. 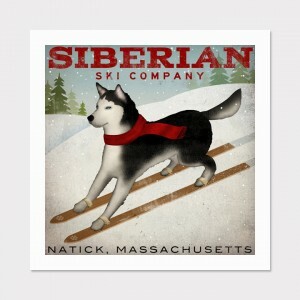 And who wouldn’t want this lovely giclee art print of a Siberian Husky on skis! This graphic art piece is created by illustrator Ryan Fowler, and sold at the Native Vermont Studio on Etsy. The 12×12 print is also available on canvas, and is signed by the artist. There are so many unique pieces in this Etsy shop, that honestly it would be difficult to choose just one. This shop is one of my favorites! 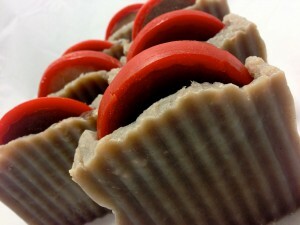 After a cold day on the slopes, try some of this bootleg luxury apple cider soap in your shower or bath. This soap is made with real apple cider beer and packed with luxury oils. And I have to be honest, don’t be tempted to eat them…yeah they look that good! Each bar weighs 5 oz and is made with natural vegetable oils and butters; it promises to leave the skin silky smooth. Yummy. Purchase them at Antoinettes Bath House. I searched for some vintage ice skates for sell, and guess what I found? 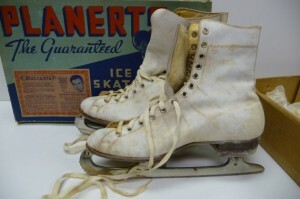 This beautiful pair of Size 7 white ice skates in their original Planerts box! What a find!! As the description states, “A little elbow grease and you’re ready to fly.” If only we had frozen ice ponds in Texas; check them out in the My Serious Side Etsy shop. This entry was posted in Etsy and tagged Antoinettes Bath House, art, candles, Etsy, Etsy Friday, Farm Field Primitives, ice skates, My Serious Side, Native Vermont Studio, soap, winter. Bookmark the permalink.